Looking for a trusted carpet cleaning service in Streatham? Here at ACC Carpet Cleaners London, we have over 50 years of knowledge and experience dedicated to professional carpet cleaning. We specialise in a quick, reliable and eco-friendly solutions for all your home or office carpet cleaning needs. Get in touch with us today and become a part of our long list of highly satisfied clients. You can call on us for a one-off service or a full-on maintenance cleaning contract. We are happy to help you. Our process is meticulous and efficient because we want the best result possible for the client, and after over 50 years of experience we are very good at what we do. We start with an inspection of your carpets to determine the most suitable cleaning technique, products and equipment to use. Our techniques are rigorous, they’ve been polished with years of training and we use eco-friendly products for all our operations. Our equipment is especially built to achieve our purpose. We have truck mounted machines that are 25 times more efficient than standard cleaning machines and we have portable machines that are ideal for more difficult to reach areas. As part of our care for our clients, we end our services by providing tips on how to maintain the quality of your carpet for a long period of time. 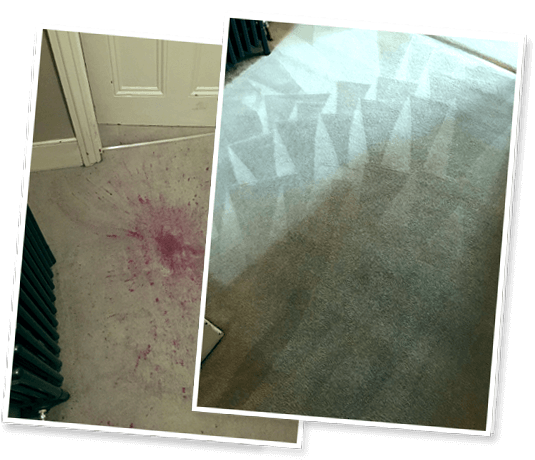 For high quality and competitively-priced carpet cleaning services in Streatham, call ACC Carpet Cleaners London on 020 7821 1221 or send us a message at info@carpetcleanerslondon.co.uk.